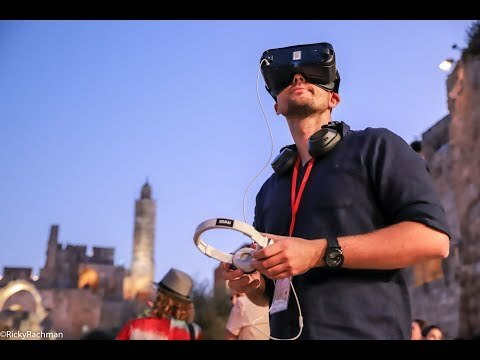 The Ho ly City is an interactive non-linear gamified virtual reality experience capturing the indescribable magnetism of Jerusalem, offering virtual visitors the ability to immerse themselves at the heart of one of the holiest places on the planet, in an undeniable spiritual experience that mirrors actual presence and memory. Through cultivating understanding, this extremely powerful tool to eliciting empathy, supports multiculturalism and diversity initiatives, gives visitors a broader understanding of pluralism and a tool to explore our fundamental similarities, promoting comparable virtues in Jerusalem. The Holy City hopes to restore the majesty of the unique multiculturalism that Jerusalem offers and give access to rituals and sites that few are exposed to. Through this cultural exposure the hope is that the visitor will see beyond the narrow strokes of racial, social prejudice and learn to appreciate every person regardless of his religion, gender or race.